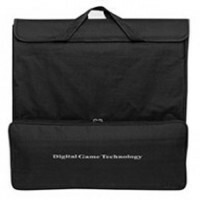 You have found one of Europe's largest selection of classical games and perhaps Europe's largest in terms of backgammon and chess. Our focus is on making your game purchases the best gaming experience for you and therefore we offer the best quality at the lowest possible price simply. 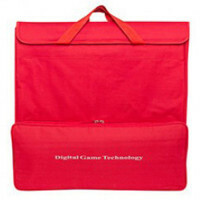 In addition, we offer free shipping for orders over € 50. Hope to hear from you! Backgammon playing field in black with points in red and light yellow, AN 4087 RE / Probably is Renzo Romagnoli one of the best backgammon manufacturer in the ..
Backgammon Complete Set of Alder, AN 1183 / Large Medium backgammon board made of alder and MDF bordeaux stained, in cassette design with clasps. 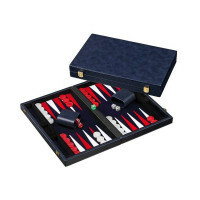 The playing f..
Backgammon + Chess + Dam L, AN 2525 / Big and beautiful three in one combo game in cassette design with magnetic lock. Made of hevea wood with inlays of ebony .. 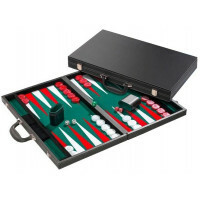 Playing field in beige with points in red and green, AN 0135 / Probably is the most affordable backgammon board in the world of Wycliffe brothers. Still not l.. 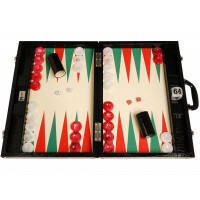 Medium Backgammon Board, AN 1734 / Backgammon board in cassette design with clasps. Made of leatherette in blue, inside is the playing field in blue felt ..
Tour Backgammon Board, AN 1715 / Backgammon in case design with clasps and handle. Made of leatherette in black, inside is the playing field in green felt &nbs..
Backgammon Precision Dice, AN 12708 / Hexahedron made of transparent acrylic in green with small dots in white. 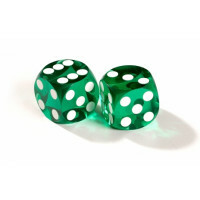 Precision balanced dice with rounded edges and .. 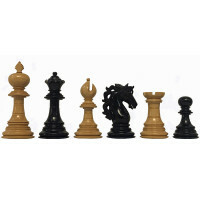 Luxury Hand-carved Chess Pieces, AN 13052 / American Adios chess pieces are made in ebony wood and boxwood. The king is 112 mm high. The chess set comes with 3.. 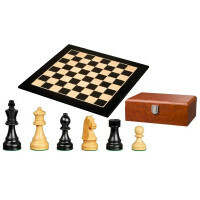 Chess Set in natural and black, AN 2325-08 / Ageless Chess Set for home use. Chessboard of sycamore maple without chess notation, Field size 50 mm. 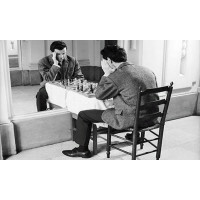 Chessmen of..
Gammon.Games is a leading company for classic strategy games. Our personal interest in strategy games and the physical social meeting that takes place between the players, are our driving forces. These strategy games have survived for thousands of years and are today a popular way to socialize, compete and face new challenges while the brain gets a hefty dose of exercise and stimulation.